Here's a quick look at some things on my mind for the beginning of April! Wearing: Still lots of maternity clothes. I have managed to find some spring/summer clothes, which includes some t-shirts and maxi dresses. I don't do shorts (my legs are too fat)! Reading: True story, the only book I've read lately is seriously called, "Oh Crap! Potty Training." 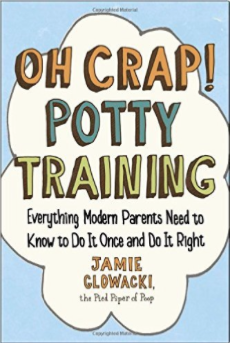 This book was recommended to me by several people, and the author did have lots of good tips for potty training. I'm still totally dreading the whole process...but I'll report back with our progress very soon! 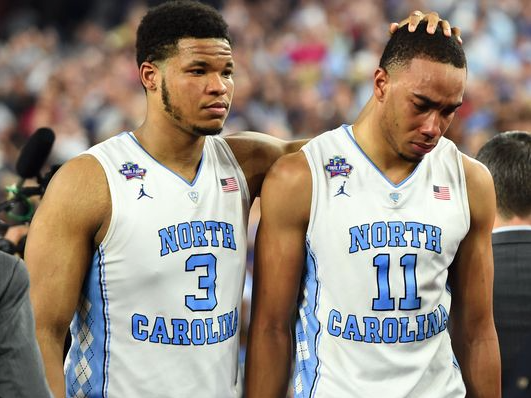 Thinking: Can the Tarheels get a re-do of Monday night's game?!?! 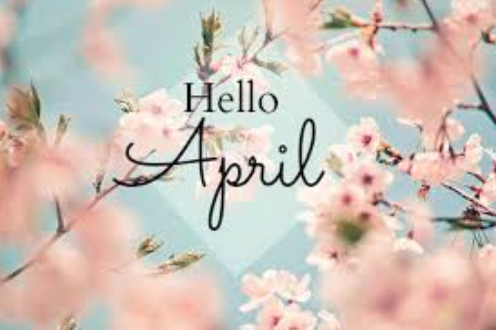 Please?!? Absolutely heartbreaking. I may have cried watching the post-game interviews (thanks, Roy for crying and making this pregnant, hormonal chick a hot mess). Craving: Warmer weather. We had to turn the heat on this morning! What the heck. Loving: Baby Boy's nursery is coming along! I made some progress over the last week, and hung a few things. I just got the curtains today, so we will hang those up soon, too! Kathryn convinced me to do navy and white striped curtains (which is what I bought), but I am scared it will be too much with the chevron sheets? What do you think? Striped or plain navy curtains?? Behind the crib, I am going to put a big circle navy monogram...once we figure out his name! Watching: Lots of new shows are starting up right now! Southern Charm just started Monday, Real Housewives of New York starts tonight, and I'm kind of wanting to watch Real Housewives of Dallas which starts next week! Planning: I just got asked to be in my friend Liv's wedding in November! It is in California, so I'm trying to figure out how I can turn the trip into a week-long vacation for either all 4 of us (sounds so crazy! 4 of us!) or just Trav and me. I love vacation planning!! I'm in a friend's wedding in Cali this November as well! We're leaving the kiddos (#2 is due in June) behind...feeling a little anxious about that but know we'll be ready for a kid-free get-away by then! Love your nursery progress and I think the stripes/chevron will work fine together...especially since you're keeping the walls fairly simple! Loving the progress on Baby Boy's nursery! And that maxi dress. I wore Old Navy and Target throughout my whole pregnancy. Just couldn't bring myself to spend lots of money for maternity clothes.